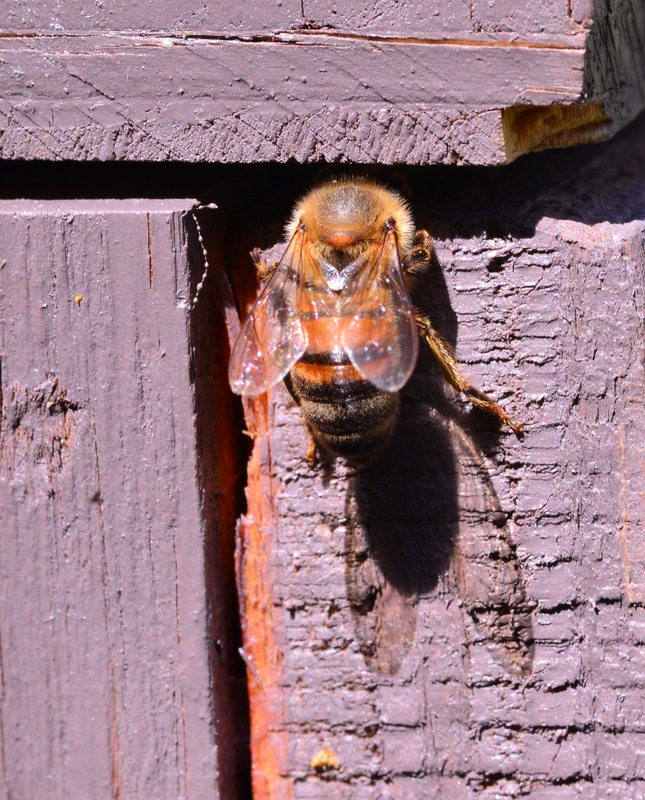 I was sitting on my patio today as I was prepping one of my swarm boxes when I had visitors. 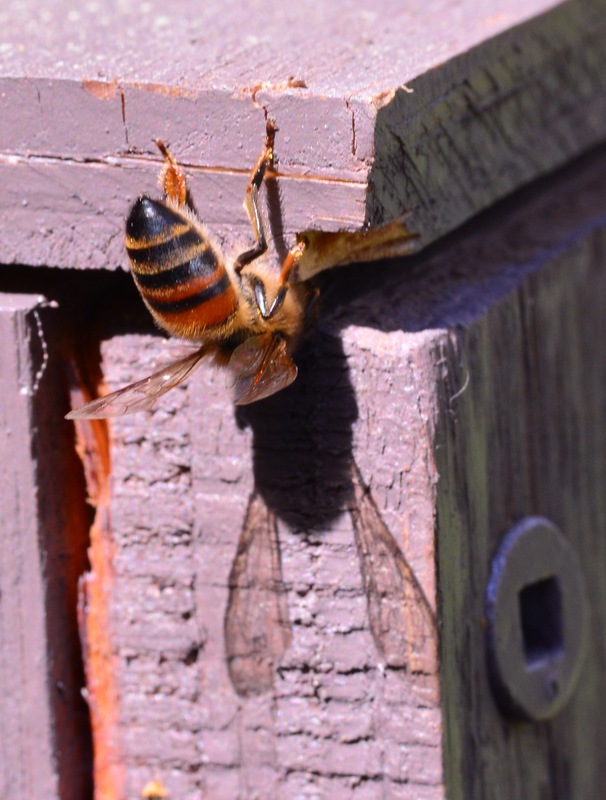 The box had recently held five full frames of bees that I had been trapping out of a tree. The top was off and I had some old comb in frames and a few bare frames in the box when the visitors arrived. Four or five bees were checking out the box so I secured the top and set the box up on a ladder near the patio. 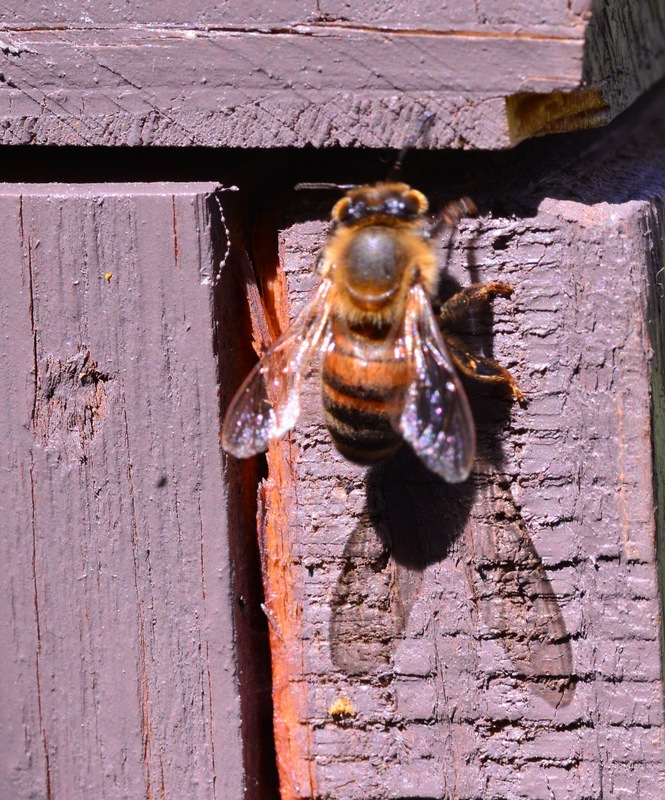 The bees left and another five or six returned and checked out the box. Several kept trying to enter along the gaps around the top. FYI – the box was hastily constructed so the fit was approximate! One looking and one arriving. Hmmmmm- what’s in here. A pheromone scent and a little dab of lemon grass oil. I love the wing shadows. Ok – I’ll check it out! Eventually they found the “real” opening and checked out the inside. They would hang around then leave – gone about 15 or 20 minutes and then return. My fingers are crossed that they were all scouts and they are inviting the rest of the swarm to a party in my yard! 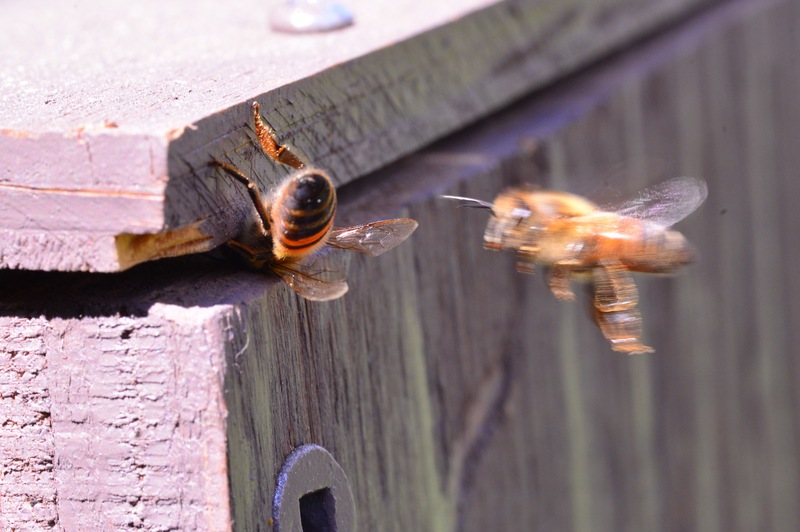 This is as close to free bees as it gets and hopefully they have truly found me. I may wind up with a box full of bees for my birthday tomorrow! Happy Birthday Bishop!